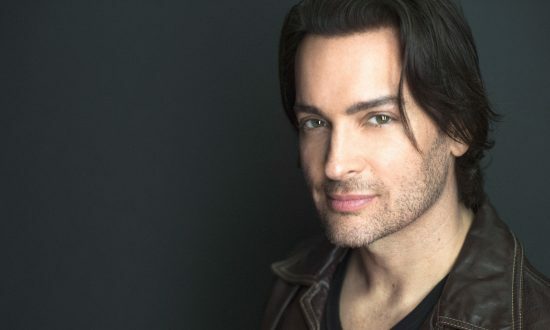 When you are a gay, strikingly handsome cosmetologist, hairdresser, singer, and theater actor in New York City, chances are you’re also a Democrat. On the night that Trump won the presidential election, Brandon Straka wept; there are pictures of him crying. “I was devastated,” he said. “I still believed the media!” His trained voice rises a minor third. “They told us that Trump was a racist, a bigot, and a homophobe. I thought he would harm black, Jewish, and gay people; he was ‘dog-whistling’ to hate groups. We were told that hate crimes were spiking and that [Vice President] Mike Pence was going to advocate conversion therapy for gays,” Straka explained. “The Democratic Party was my tribe. A friend showed him a compilation video of the media trashing Trump. Perhaps being from Nebraska allowed Straka to look beyond the perceived wisdom of the East Coast. “I saw all the moments that were replayed by the [mainstream media]. Remarks taken out of context. Black people edited out of audience shots. Endless fodder for the Trump-haters,” he said. “Then the Charlottesville rally happened. I had had my eyes opened to how dishonest the media is and how they manipulate people’s behavior and then, they twist the narrative again. Last year, he wrote, produced, and sang “Resist: A Rock Revolution.” What began as a demi-opera—something written by a liberal devastated by Trump’s election—grew into Straka’s personal journey to conservatism. “When I understood how the media was lying, I realized that, from a personal point of view, what they do is reprehensible. If there were two people involved, it would be considered an abusive relationship,” he said. A friend warned him about speaking out. “There is a reason it’s called the silent majority,” he said. Anxiety moved like a current through his body. “There are reasons people don’t speak out and say, ‘Something is very wrong here.’ They are afraid of being shunned by their friends, losing work, being considered crazy because they are no longer part of the hive-mind,” he said. Straka speaks as though slightly amazed, as though he has discovered the secret to life itself. His eyebrows raise, and his eyes are huge pools of hope. That’s when he decided to start the #WalkAway campaign and make a video to launch it. “I wrote the script in 20 minutes. It was as if there was a printer in my mind,” he said. “Once upon a time, I was a liberal, but the left has devolved into intolerant, inflexible, illogical, hateful, misguided, ill-informed, un-American, hypocritical, menacing, callous, ignorant, narrow-minded and, at times, blatantly fascistic behavior and rhetoric. Liberalism has been co-opted and absorbed by the very characteristics it claims to fight against. On May 26, he posted the video, which he edited himself, on social media. Five months later, Straka has more than 97,000 followers on Twitter, and his Facebook video has been viewed more than 1 million times. The movement has been endorsed by Sarah Palin, Dinesh D’Souza, Tomi Lahren, Roseanne Barr, and Robert “Buzz” Patterson—who walked away after serving as the senior military aide to President Bill Clinton. Straka has become a cynosure of attention. Combine his “GQ” looks, his power-surge energy, and his integrity, and it is no small wonder that people like Candace Owens, from the conservative advocacy group Turning Point USA, are contacting him. 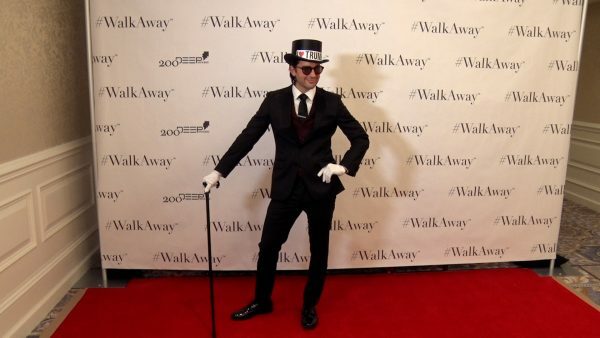 “I didn’t think when I released my video I would be celebrating at a fancy, fancy hotel wearing an ‘I Love Trump’ top hat and tuxedo,” he said. “Trump tweeted me. OMG. The President tweeted me. I got on my knees and started screaming!” he said. 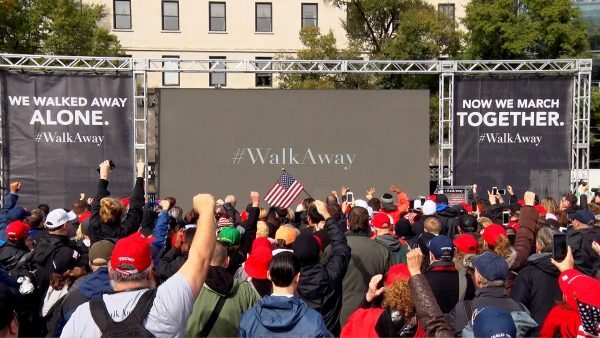 Straka and his unsilent minority took the #WalkAway movement to Washington on Oct. 27. Straka led a mile-long march of hundreds of supporters who, despite some inclement weather, came from all over the country to mark the fledgling movement’s first national rally. The event was totally ignored by MSNBC’s Rachel Maddow, ABC’s Joy Behar, and the late-night comedians. In fact, apart from Fox and the New York Post, none of the mainstream media covered the event. Still, everyone agreed that the #WalkAway from the Democratic Party D.C. march was a “YUGE” success. So what lies ahead for Straka? That is, apart from his newfound political clout. “I want to make documentaries about American culture, and not from a leftist point of view. I want to make it cool to be a patriot and an American,” he said. 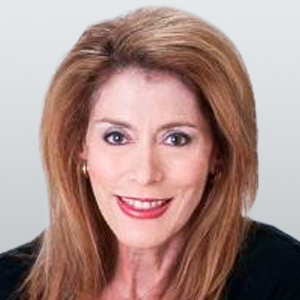 Jani Allan is a South African journalist, columnist, writer, and broadcaster.